Flying is not always comfortable. Dry, recycled air, inhumanly-small seats and those fiddly packs of peanuts can all contribute to your discomfort at 36,000 feet. It feels as though commercial airlines have forgotten that all travellers want to do is relax. Winch Design, the experts behind one of the most incredible jet interiors we’ve ever seen, haven’t forgotten. In fact, they put clients’ comfort at the forefront of all design. 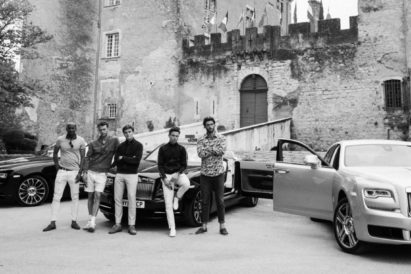 Their manifesto reads: ‘Our clients are at the centre of all we do’. That’s what we like to hear. 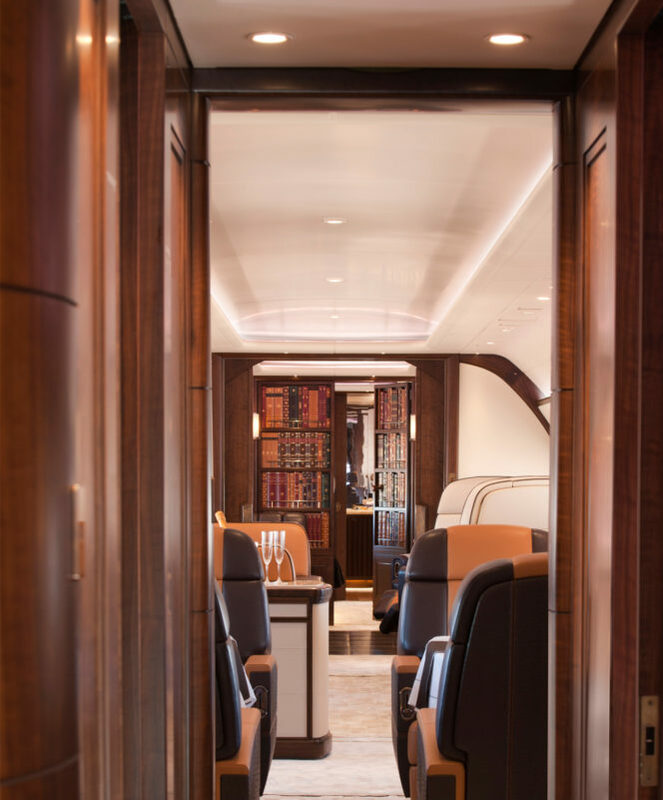 "Our clients are at the centre of all we do..."
The Atlas Jet, from Winch Design, features elements from the classic gentleman’s club — bookshelves along the walls, plush leather chairs in which to get lost, and secret concealed doorways through to different areas of the plane. 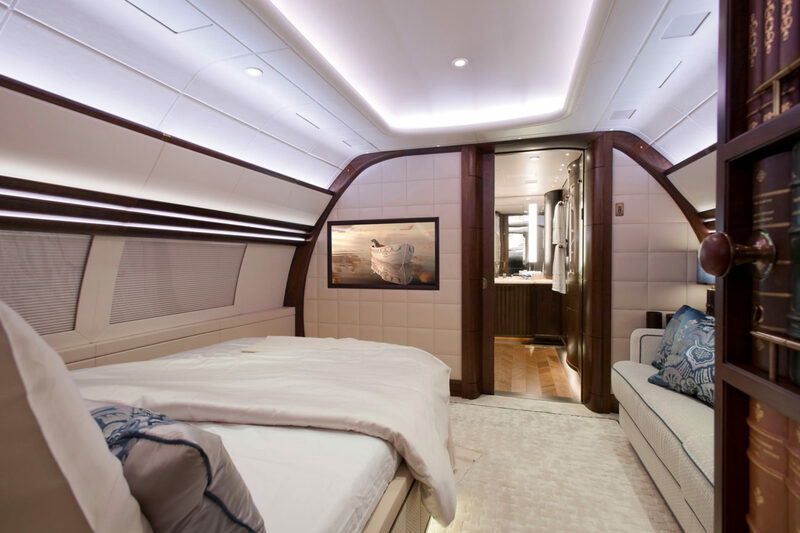 Our favourite feature of the Atlas Jet is the hidden door into the master suite, an extra room that you’d be forgiven for thinking was too big to even fit inside the plane. But it’s all about comfort, and privacy, both concepts of which are exemplified in this design. We spoke with Senior Project Manager, Greig Jolly, about this incredible aircraft and what other secrets it holds. Are there any specific locations that influenced the design of the ACJ319? The design took inspiration from the luxury of a timeless, English Gentleman’s Club. 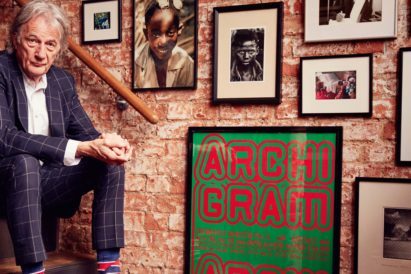 In order to emulate this setting, we took ideas from classic hotel smoking rooms and looked to iconic traditional British brands for further inspiration. What are people’s reactions when they first step inside the aircraft? I would hope for many they felt they were walking into a familiar space, creating a seamless transition from the home to the aircraft. We worked hard to achieve the same feel and ambience as sitting in your own living room or favourite member’s club. What was the best reaction you’ve had from the aircraft so far? People love to close the doors to the aft lounge, relax back into the large leather sofa and pour themselves a whisky. With the shades down and cinema screen on you’d never know you were onboard an aircraft at 30,000ft. How long did it take to go from concept to taking off? The complete project, from first sketch to take-off was about 3 years. Did you have a certain type of customer in mind when designing the ACJ319? A client who admired and appreciated the ambience and sophistication of a classic Gentleman’s Club. Someone who’s not wooed by short-lived fashions but respects timeless elegance, classic good taste and fine craftsmanship. 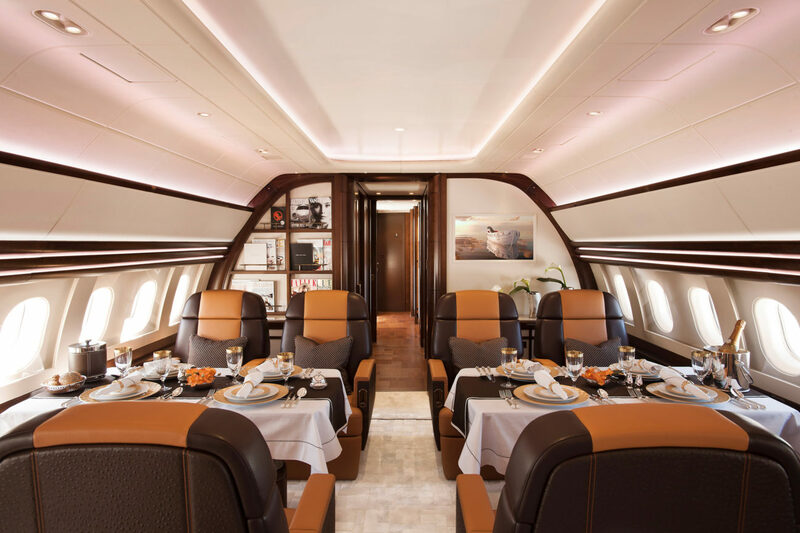 Throughout the aircraft there are some of the typical rooms you would expect to find in the club; a library, formal dining area and bedroom. Masculine details are prominent throughout as seen with the leather floor in the library, the powerful architectural details and the large double sliding doors in the lounge. What is your favourite feature on the aircraft? The aft bookshelf in the library which cleverly doubles up as concealed doors into the bedroom. This is an integral part to the design, creating the illusion that the Gentleman’s Club is the aft most part of the cabin and concealing the private master suite from the rest of the interior. You walk through from this warm, cosy library into a much softer, elegant private bedroom. Is there anything you wouldn’t put in an aircraft? The aviation industry is extremely regulated and this clearly creates many boundaries for designers. Most items must be securely fixed to the fuselage due to the dynamic environment of the aircraft, therefore many components found in the home are not feasible in the air. In the past we’ve had requests for jacuzzis and have to politely explain that open, moving bodies of water aren’t perhaps the best thing to a have on-board an aircraft! That being said, we love a challenge and are always excited to help realise our client’s dreams!